Kenny Wheeler, trumpet; Manfred Schoof, trumpet; Peter Brötzmann, reeds; Rüdiger Carl, reeds; Evan Parker, reeds; Gerd Dudek, reeds; Michael Pilz, reeds; Günter Christmann, trombone; Paul Rutherford, trombone; Derek Bailey, guitar; Alexander von Schlippenbach, piano; Peter Kowald, bass, tuba; Han Bennink, drums, percussion, clarinet; Paul Lovens, drums, percussion. 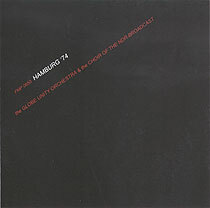 Recorded during the 105th NDR JazzWorkshop on 19 November 1974 at Funkhaus Hamburg, Grosser Sendesaal. Cover design by Dieter Hahne. Originally released on FMP LP 0650.